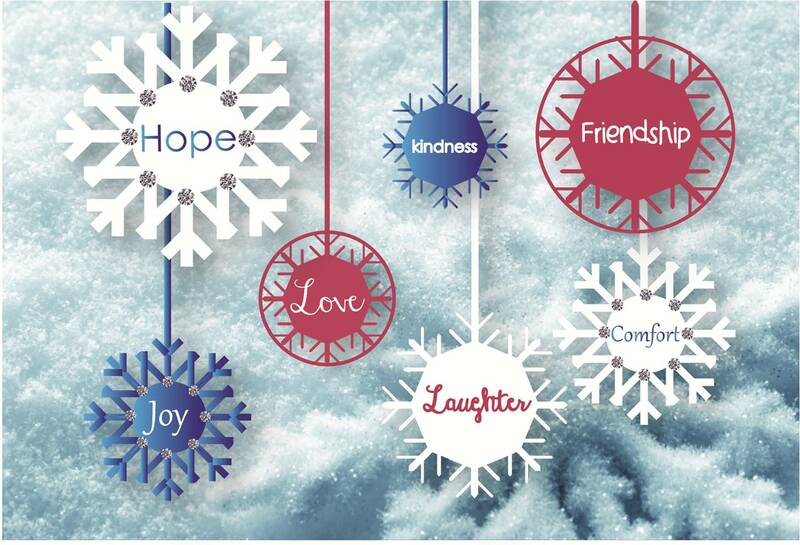 Why re-invent the wheel this holiday season? 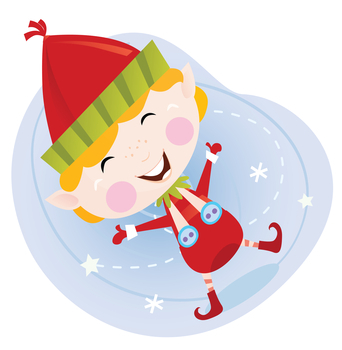 Here are 5 check lists ready to make your holiday season less stress and more fun. 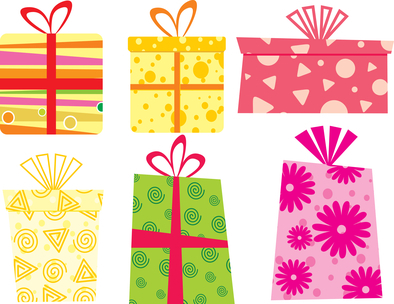 These professionals offer ideas for the most elaborate to the simplest of holiday preparations and festivities. 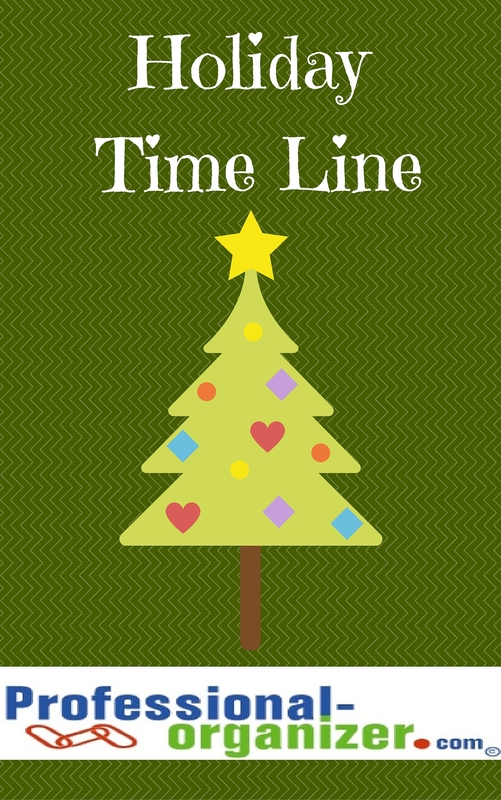 These holiday time line ideas space out your work to keep you on track and organized throughout the holidays. Martha’s list for holiday preparations. Geralin shares how to prepare for a stress less Thanksgiving. Seana Turner Help the Holidays are Coming! Seana shares her big holiday list. This time line started in October, but jump right in whenever you start. A pre-party check list to be ready for fun. Get ready for your holiday party. 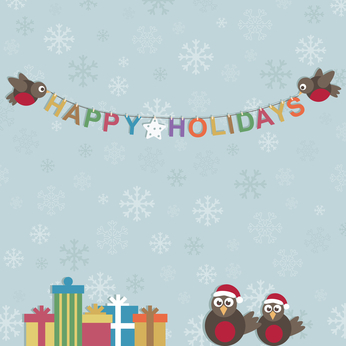 Share your ideas for having your most organized holiday ever! 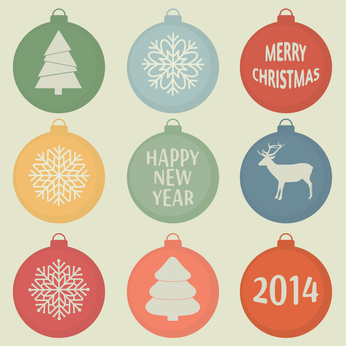 Join my newsletter to start off 2015 more organized! Each fall families get back to the business of running their families. School and activities start, family’s get back into routines and there’s lots of information to keep together. It can be overwhelming with lots of information in different formats and different locations. There are many ways to pull this information together for communication and cohesiveness. 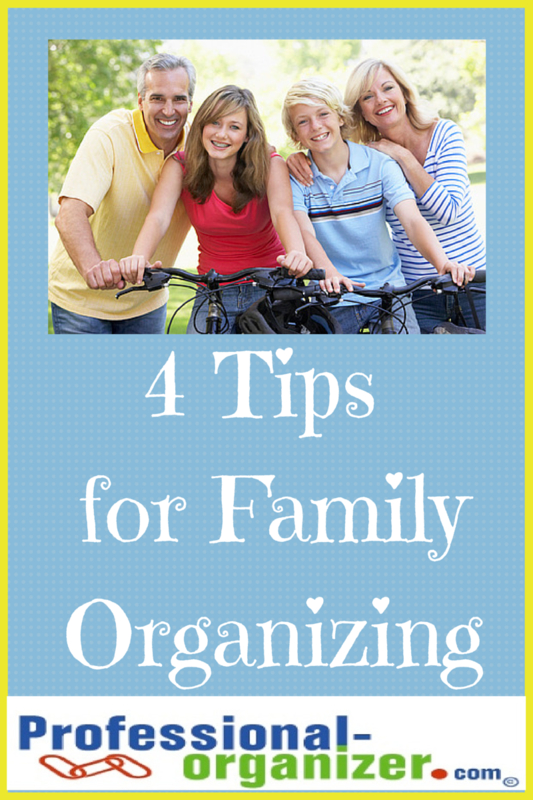 Check out these 4 tips for family organizing. The Family meeting, with everyone sitting together with their calendars and the monthly family calendar, makes for great communication. It’s a once a week get together where everyone shares. One of my family clients has two extra large dry erase peel and stick boards on a big wall adjacent to the kitchen. Everyone adds information all the time. Each person has a different color. It’s the one thing this family consistently keeps up to date. These calendars make up one piece of a command center. Another family client has a very large paper calendar and all dates are written in pencil. Google calendar is a great option for families on the go! It helps you color code, consolidate and keep everyone up to date all the time. I recently saw a parody of the family dinner. It had been so long since the family ate together at the dinner table that there was no seat for the third child! If that’s true at your home, you might be interested in The Family Dinner project. Family dinner is an important time for laughter, chatter and fun. Spending time together this way nurtures us all. We know time can be a troubling challenge for dinner prep. It can be a little bumpy getting everyone on the same time line. But even if dinner together is just once a week, that is a great first step. Plan on big breakfast, big lunch or early dinner on a Sunday to get everyone together. There may be fewer activities going on. Create a dinner grid with your family. It’s easy meals that family member’s can partner to prepare. No one should be left in the kitchen alone. Everyone shares getting dishes done and lunches ready in the evening. Share the responsibility of grocery shopping. Write the list on a pad on the refrigerator, snap a picture with your smart phone and text it to whoever is driving home from work. It’s hard to consolidate all the information about your kids’ homework and activities. 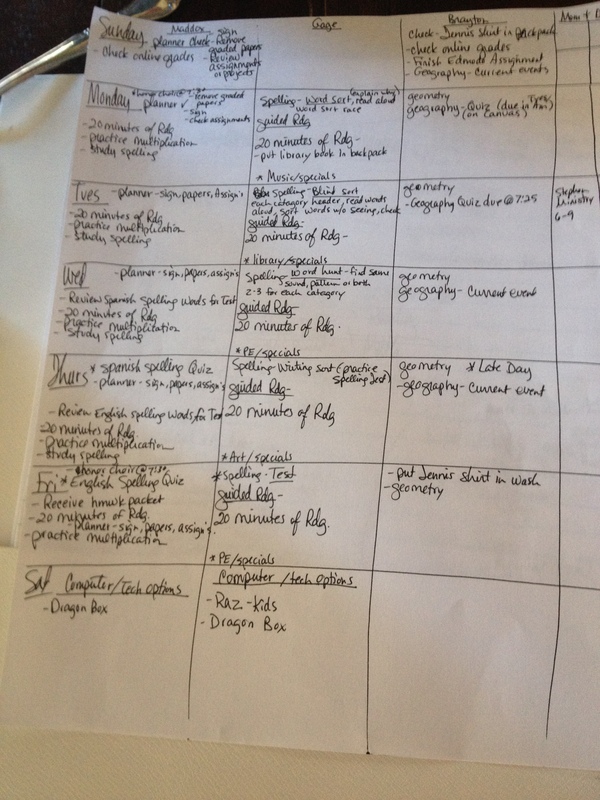 A client shared her solution with me ~ the family homework and activity grid. She visited all the online sites for her kids’ teachers and activities and created a grid with kids’ and parents’ names on top and days of the week on the side. In each square are listed school and after school related activities. Ongoing homework, such as daily reading, weekly vocabulary and online quizzes, is listed in the appropriate day. Posting this chart will help her family keep up on all that teacher’s require. There’s are so many new tech ideas that help us as families! Cozi helps you manage the chaos of family life with a shared calendar, shopping lists, to do lists and more. Cozi keeps track of everything from school schedules and sports activities to grocery lists, meals and chores — all in one place the whole family can access anytime, anywhere. Google calendar and Google docs are great online ways to keep up to date in real time. Google docs is a shareable document space. 30Boxes has a family calendar and interactive to do list. Fircle allows you to share an online calendar with your spouse at work, print shopping lists that will remind you when you’re running low on specific groceries, manage your children’s allowance and household chores and much more. HomeZada is a home management software. It doesn’t have a family calendar component, but it does have home management, home maintenance, home finances and a home inventory. Have a strategy that works well for your family organizing? Share it here and help us all get better organized! 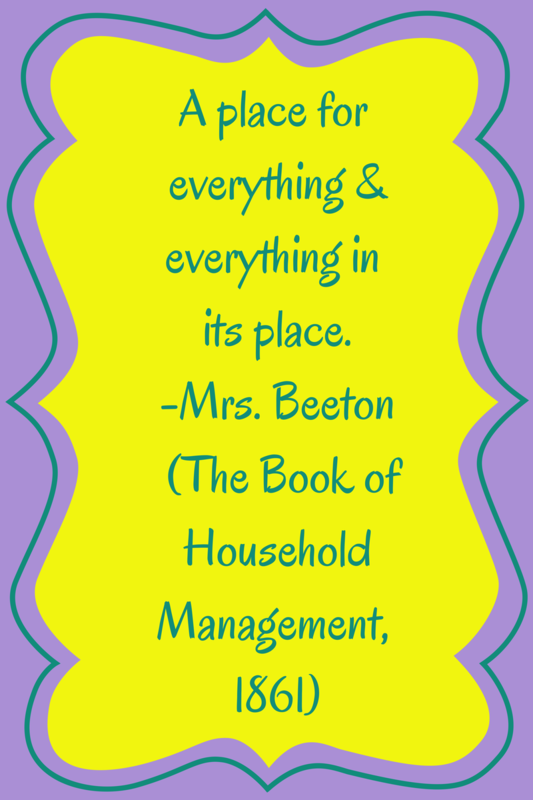 Family organizing tips are just part of the information shared each month on my newsletter. Join here! I love sharing my organizing ideas with inspiration. Organizing quotes can help you have a mantra to get or stay organized. It can be what pulls you through when organizing gets tough. Here are a few I share often. Check out more organizing inspiration on my pinterest board. More monthly inspiration on my newsletter. Join here! ADHD strengths are wonderful attributes for being an entrepreneur. There are so many ways ADHD entrepreneurs are successful. It’s the creativity, resourcefulness, and solution based thinking that lead to success. ADHD includes a powerful set of qualities that make for ground breaking new ideas and tools. There can be a few bumps in the road too. Difficulties with executive function, planning and organizing can get in the way. 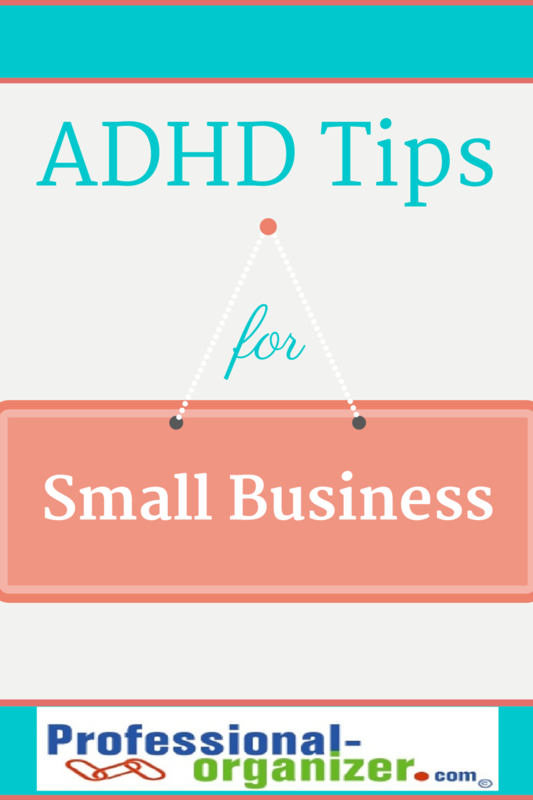 Here are 3 ADHD tips for business owners to maximize their success. Often an ADHD small business owner will only use a planner to write in an appointment. Use your planner as a tools to help you initiate and execute your tasks. Think creatively about your planner and use color and small post it notes. 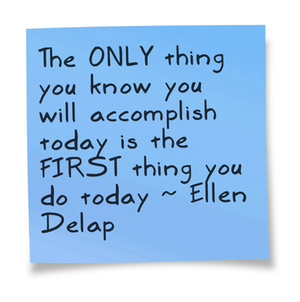 Write each task separately so you can create baby steps and keep from being overwhelmed. If these are written on small post it or flag notes, you can move them around as needed to work. Think about options for your planner. It can be 3 dry erase calendars on a prominent wall with difference color markers. 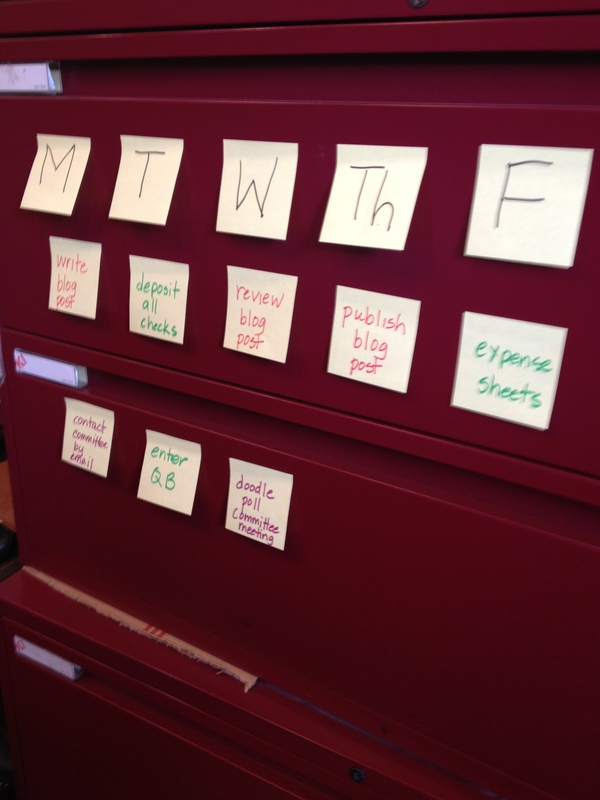 It can be a file cabinet adjacent to your desk with post it notes. It can be a wall you paint chalkboard paint. Set a time once a weekly for reviewing what’s on your planner. 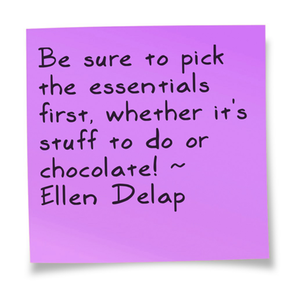 As a processing tool use it daily to write a note for your 3 Most Important Tasks. Create a new habit by hooking this habit onto an existing habit. It won’t happen automatically for a while, but it is a powerful change. Being overrun and overwhelmed by paper can be paralyzing to an entrepreneur. Take back control of your paper by cutting back on it first. Print as little as possible. Ruthlessly eliminate all paper that will not immediate at to your bottom line with a return on investment. Write notes in an arc spiral or use Evernote. Scan in what comes to you in paper form. Choose what is going to work best considering the amount of paper. As you can see, this takes a diligently and ongoing attack on paper from all directions. Choose a paper system that works with your strengths. A command center can be placed on your desk or adjacent to it. An accordion file is a tool with 7 or 13 pockets that can travel with you between locations. Whatever the tool, be sure to label the slots. With a label only what belongs in the slot gets in the slot. It also helps you stay focused and keep you from being overwhelmed. No slot for that paper, it’s off to the shredder or recycle. No one is good at everything. Entrepreneurs needs to wear many hats. This may sound like a conflict for ADHD entrepreneurs, but it’s a call to action for automation and delegation. There are many small ways to start. Automation is using technology tools to their best advantage. It can be an autoresponder when a client contacts your website. It can be downloading financial information from the bank to Quickbooks. It can be an app on your smart phone that adds contacts to Outlook. Look for small or large ways to automate processes in your business. Delegation is sharing a responsibility with a colleague or employee. Know what can only be done by you. The rest can be delegated in small bites. The biggest challenge is often the first step of asking for help. Think of this step as taking on a partnership, rather than giving away the ship. As you share the task, you build in accountability for the actions you will perform, as well as get additional help with technology, marketing skills or organizational tasks. There’s more you can share about your own tips for business. Share one here! Learn more about ADHD on my pinterest board. Get a monthly boost of productivity and organizing. Join my newsletter. It’s an exciting day! You have decided to start scanning to eliminate your paper clutter and free up time, energy and space. What’s the first step? 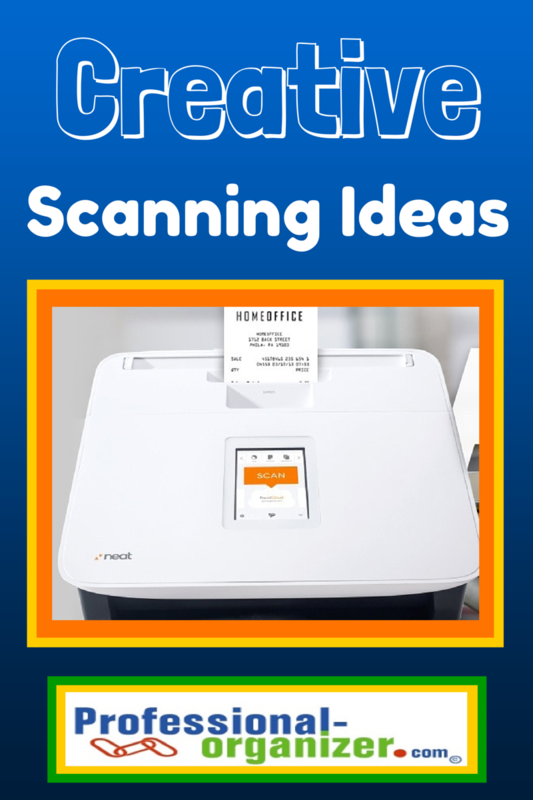 How do you get started scanning? Check it out here! So how did my own Neat installation go? I planned on 2 hours, but it did take me more time. Install your Neat connect and cloud, first, then install with the computer disk. I wanted to review the tutorials too, which added a little more time. This is a powerful tool with lots of great technology. Start with a baby step that is not as important but is valuable to you. I suggest scanning a receipt or business card first. Patience is an important value in starting new technology. Learn more creative uses for your scanner here. Learn from the Neatologists. Join my newsletter for organizing and productivity updates. 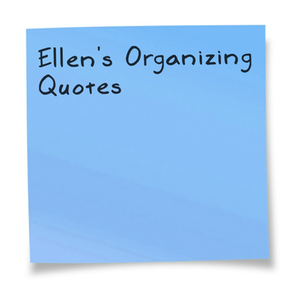 https://professional-organizer.com/WordPress/wp-content/uploads/2016/07/logo.png 0 0 Ellen https://professional-organizer.com/WordPress/wp-content/uploads/2016/07/logo.png Ellen2014-10-09 15:14:292014-11-09 15:16:15Get started scanning! You find it hard to get started on a project, hard to finish up and tough to stay on task. ADHD and executive function deficits create challenges for motivation. It can feel discouraging, frustrating and overwhelming. At a recent conference for the Institute for Challenging Disorganization, speakers shared ways to get motivated despite the obstacles. 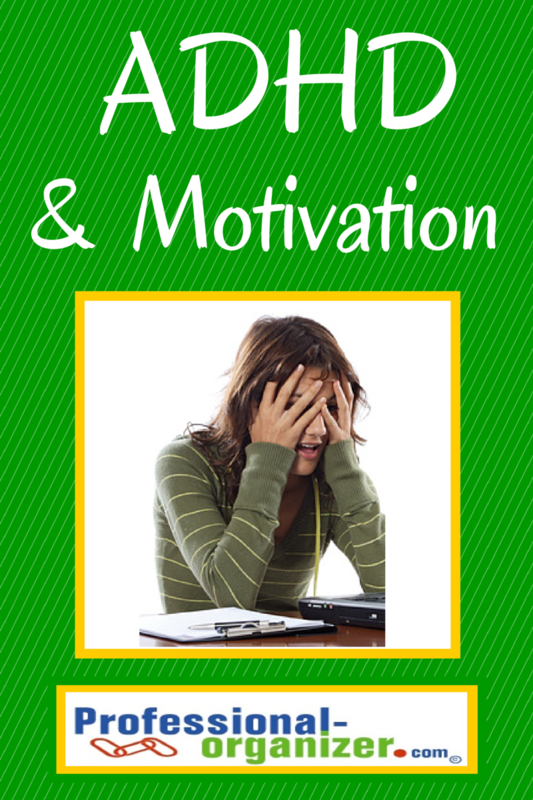 There are lots of small ways ADHD and motivation can make a daily difference for you. Russell Barkley is author of Taking Charge of Adult ADHD. This speaker suggested using external cues to help you get motivated and stay on track. External cues can include post it notes or check lists with tasks spelled out. Social accountability like a study buddy or coach can help you lower or eliminate distractions as well as keep you positive about your work. These external cues help you become more successful at any task. Denslow Brown and Karen Boutelle shared the value of coaching for motivation. Denslow is the creator of Coach Approach for Organizers, which I have participated in. Her coach training focuses on the collaborative partnership with the ADHD client and coach. Karen Boutelle from Landmark College demonstrated using coaching to facilitate motivation for students. Both speakers shared coaching strategies in helping a client move forward with their goals. Struggling with getting started? Here are a few practical ways to get going. Set a timer for 15 minutes. For 5 minutes, assess what you have accomplished. Reset the timer for another 15 minutes, twice more. You have accomplished a lot! Find an ADHD coach to work with you. Clear your space for clarity. Keep your desk clear of extra papers and office supplies in order to keep clear about your work. Partner with a colleague or family member. Having someone to help with decisions and work together makes the project get off the ground. Your partner also acts as a body double to help lend you energy to get going. Find a way to add positive accountability to your day. Send a quick email sharing what you accomplished that day. Text someone sharing the news of conquering a difficult task. Make a phone call on your way home to tell someone about an accomplishment. Add a dash of fun to your work. It can be a quirky element (like writing with a pink marker), some music (your Pandora work station you create) or something silly (perhaps a crazy hat or fluffy boa). No one wants to miss out on fun, right? What are ways you are getting motivated? Each week on Facebook I share tips and tricks for ADHD. Like my page and click “get notifications. Join my newsletter for a monthly dose of productivity and organizing. 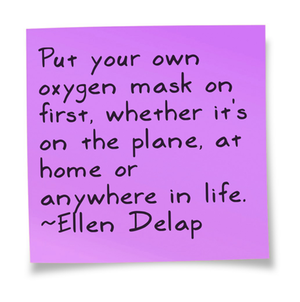 https://professional-organizer.com/WordPress/wp-content/uploads/2016/07/logo.png 0 0 Ellen https://professional-organizer.com/WordPress/wp-content/uploads/2016/07/logo.png Ellen2014-10-07 07:25:312014-10-07 07:28:15"A Place for Everything and Everything in its place"
At a networking event, during a business meeting, or even in the grocery store, we get business contacts. The contact could be in a text, written on a napkin or copied on a post it. There’s also that stack of business cards from years past too. You want to easily store and access contacts for your business. 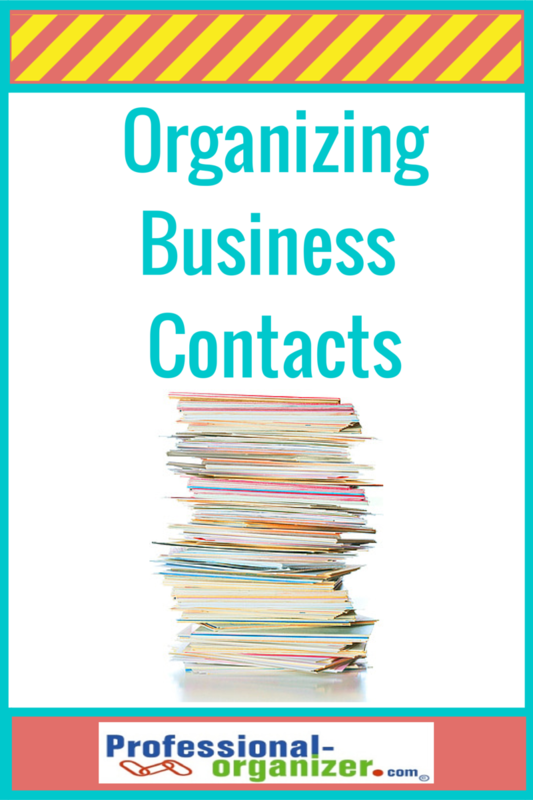 Organizing business contacts is a priority for your business. Customer information and vendors are important contacts for all small businesses. When we meet with or receive a call from a potential client, it’s important to capture this information right away. When we receive a recommendation for an outstanding vendor, we want to be able to keep this information until needed. There are lots of business cards we receive. Not all are important to keep. Make a note and write the date on your cards so you remember the reason you found this contact valuable. If its a recommended vendor, write the name of the person who recommended this service provider. It will make it much easier to know which cards to keep. A call or email from a client shows their high level of interest in doing business together. Even if not ready right away to work together, you want to retain their contact information. When a client contacts me, I record their name, cell phone, business phone, email and snail mail address on paper first. As soon as possible I transfer this information to my smart phone and Outlook. If I am contacted by email, I add this information with just a few clicks. To me all clients who have contacted me directly are keepers. It sometimes may require a little phone tag or 2 messages but we connect and set a plan in motion. It’s important to choose one consolidated spot for your information. There are lots of options, including Google, Outlook, Yahoo or a CRM (customer relationship management software.) Your decision may depend on your tech savvy-ness and the number of contacts you have. You can pair gmail and google docs for a CRM system. You can sync your Outlook contact and email account with your smart phone to have consistent access to your contacts. Remember to back up your Outlook regularly to keep up with your information. Yahoo offers an online contact manager you can use to store all your contact information about individuals and companies. It’s cloud based so accessible anywhere. Create an Excel spreadsheet with your contact’s snail mail address, email address, business phone and cell phone. Download an iphone app or android app on your smart phone. Start with a good foundation for your contacts, but also use a solution that can expand as your business grows. You may have realized that you have several different places for contacts. Think of baby steps you can use to consolidate the data. Add contacts 10 at a time from business cards, other email address books, post it notes or other scraps of paper. Search your inbox and use signature lines to add contacts. Add clients and vendors one at a time as you are contacted by email. Enter vendors at the time you receive their reference from the person recommending. Use a NeatDesk (sponsored link) to add business cards quickly to your database. It quickly scans and adds information. Organized business contacts means more money for your business and less stress for you! Take time this week to get started or keep organizing business contacts. It’s time to think about going paperless! More ideas on going paperless, getting organized and being productive? Join my newsletter! Did you know that paper is the #1 item that people hoard? You may really hate paper and have too much around. Scanning helps cut down on the paper clutter and makes information easy to retrieve. Being on your computer and backed up to the cloud, it is always available. It’s time to get creative with your scanner! Create digital copies of your kids’ school papers. Digitizing makes a permanent copy you can save and share with grandparents. Keep only the most precious of art work and create a digital photo book. Scan in important documents. It may be for emergency preparedness or to create additional copies. It’s easier to find these documents. Keep these files on Dropbox so that you can access them anywhere and anytime. Ripping recipes, decor and more from magazines? Scanners are a great way to categorize your information and keep it together. Create different files for the different interests and hobbies. Use a uniform naming convention in saving your files. Keepsake newspaper articles are easier to archive after scanned. It’s making a truly permanent copy this way. Have lots of business cards or flyers from vendors? Scanning these and saving to Evernote helps you access and categorize these easily. Save documents without stressing. A sign in sheet for work or a CEU certificate for education can be scanned in and saved for later reference. What are you favorite papers to scan? I am a Neatologist! 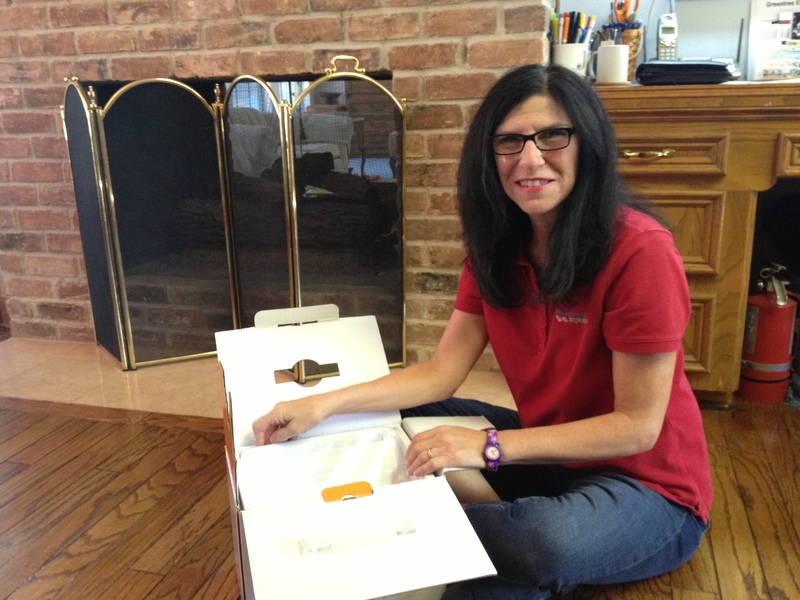 Check out my post on Neat about going paperless.